NEW ONLINE STORE UP AND RUNNING. “The History of Hip Hop” is a visual narrative of infused levels of artistry spanning over various periods of time. It invites you to delve into the historical references of the birthplace of “Hip- Hop” in New York to The Dutch Golden age of painting and the irrefutable parallel of the two. Expect notable virtuosos such as Quest love and Black Thought contributing to the Hip Hop movement and a collaboration bringing us to where we least expect; vignettes from Russia to Philadelphia and everywhere in-between. The collection is a three part series of portraits, eggs, and sculpture. 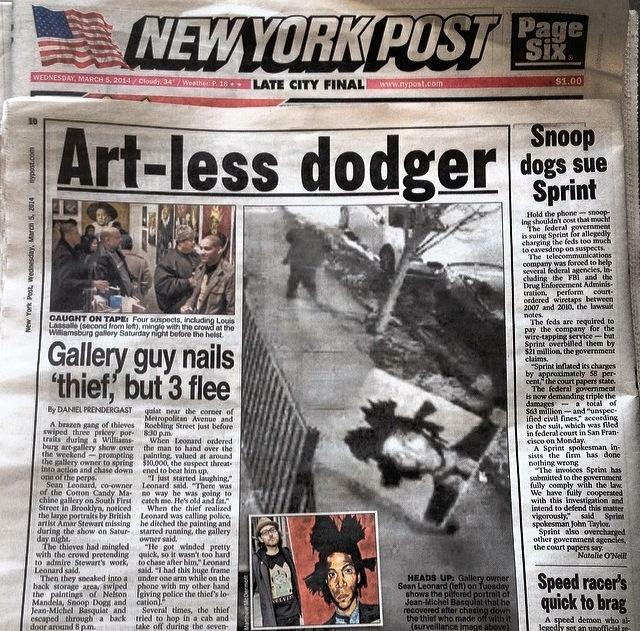 Artist Amar Stewart conceptualized major New York Hip-Hop artists like NAS, and Public Enemy occupying the places of original European nobles portrayed by Rembrandt, Anthony Van Dyke, Frans Hals and Hans Holbein The Younger. In addition to the Golden Age painters, there are two recreated Faberge eggs on canvas. The “Imperial” Faberge eggs were crafted for the last Russian Czar Nicholas II as Easter gifts for his wife and his mother. 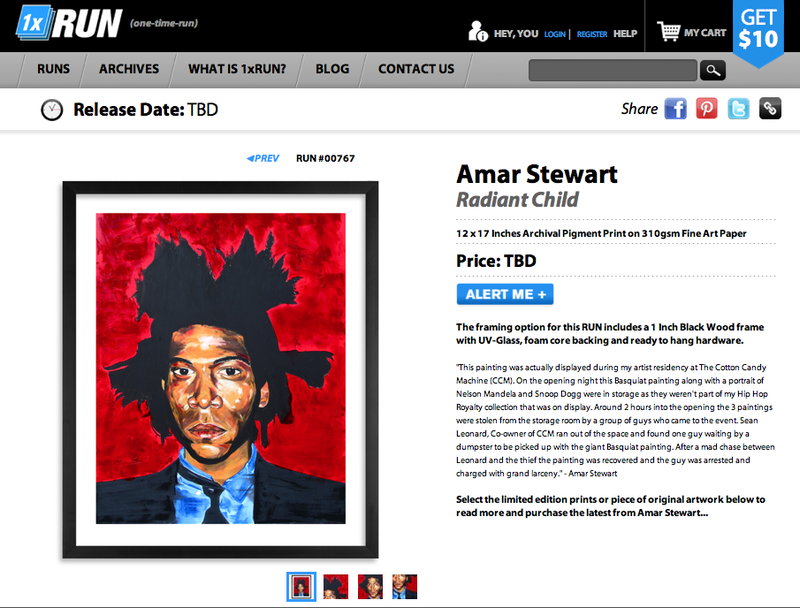 The collection also features a collaboration with Russian sculptor, Anton Tishchenko based on Stewart’s “Ready to Play”. Stewart who is originally from London, England is heavily influenced by the music and culture of Hip-Hop. “The History of Hip Hop” is similiarly fashioned after his previous exhibitions, “Past, Present, Future” (2014) and “Ex Post Facto” (2015). Stewart is committed to carrying on the legacy of the great oil painters of times past, while paying homage to iconic artists of today. The exhibition will be hosted at Sweet Science, 135 Graham Ave, Brooklyn, NY 11206. Opening reception is June, 2nd 2016. All the new works will be available to view online soon! My local watering hole and diner in Williamsburg, NY, recently commissioned me to create 2 pieces of Boxings finest. Ali and Joe Frazier. I decided to come up with 2 very different concepts depicting Ali as a 17th century Royal taking a stroll, posing in the grounds of his castle. Frazier's iconic pose with Dripping gloves ready for the Big fight. Super fun. You can see these works along with my current shoW "EX-POST FACTO" which runs through mid June. GIVE ME A SIGN PROJECT. PSM X HEAVY MELLOW X AMAR STEWART. Pauli LoveJoy http://paulilovejoy.com, previously known as Pauli The PSM http://paulithepsm.com, an internationally acclaimed musician (Damon Albarn, Kindness, Bobby Womack) steps out from behind the drums as a solo recording artist. 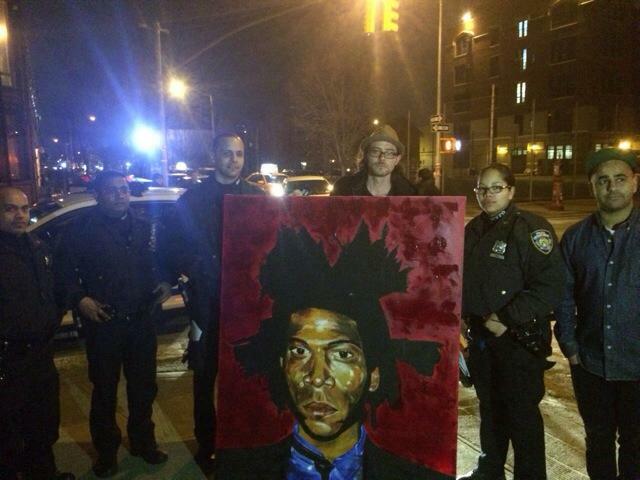 Pauli commissioned fellow Londoner living in New York, oil painter Amar Stewart http://amarstewart.com to recreate Johnny Nguyen’s iconographic photo of 12-year-old Devonte Hart, who was wearing a sign with the words "free hugs" during a Ferguson protest. -Portland Police Sgt. Bret Barnum motioned Devonte over to him and they began to talk about the demonstration, school and life. At the end of the conversation the police officer pointed to Devonte's sign and asked "Do I get one of those?” They embraced. “In a time where it's felt like the chasm between people deepened to the point it can never be repaired, this beautiful picture is a symbol of hope.” Pauli remarks, “The cop is colourless in the Stewart’s painting to show that this issue is deeper than race." Give Me a Sign, inspired by Nguyen’s photo led Pauli to call upon HEAVYxMELLOW http://soundcloud.com/heavyxmellow to produce the track. This is the first single from the Brooklyn based Brit, collaborating with the Texas born producer. Pauli’s debut currently untitled EP is due to be released in 2015. Carlos from Classic Material NY asked me to paint a portrait of the great CORMEGA for his in-store appearance at Freshthetic in WilliamsBurg NY. It was an honour to paint and meet him. I am excited to announce that I have released my first collection of shirts & hood to my online store. All are high quality prints on great shirts from my recent Hip Hop Royalty collection. Head over to the online store HERE to get yours. This evening I will be exhibiting a new piece in a group show titled "Found". The concept is for artists to produce artwork on found objects from the streets of NYC. I came across a chest of drawers in Bushwick and decided to use one of the drawers and use it as a canvas by painting on the inside. The style goes back to the work I produced for Puma last year focusing on dreams and goals. For availability please contact Robert Aloia - robertaloia68@hotmail.com. See flyer for event details or click HERE. Props to BuzzFeed and Elite Daily for covering my work. Click the images below to read up on the articles. Debut Print release with 1XRUN. 12 x 17 Inches Archival Pigment Print on 310gsm Fine Art Paper / Edition 60. I'm excited to announce my debut print release with detroit based print company, 1XRUN. 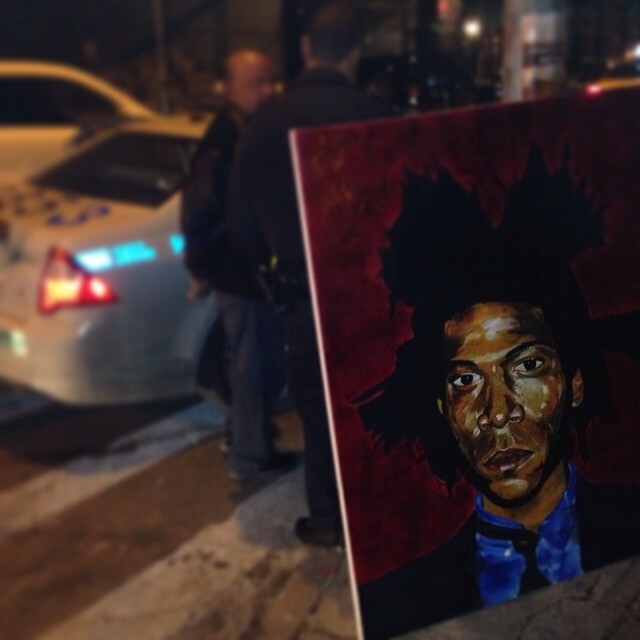 After some discussion we decided our first print release would be the portrait of Jean Michel Basquiat. The original painting was recently stolen from my opening at The Cotton Candy Machine in Brooklyn, NYC but luckily recovered by my main man Sean Leonard. If you didn't get to read up on it, check out the in depth write up HERE. Head on over to the 1XRUN site to get hold of your print now. Listed in the 10 New Contemporary Artist's Challenging Everything We Knew About Art. Thank you to Policy Mic for including me in the list alongside names such as JR, Beau Stanton and other great names. A real honour to be a part of this. Click HERE to read the full article. Lifestyle magazine FRANK151 came to visit me during my residency at The Cotton Candy Machine and discussed my inspirations and artistic approach. It's the most in depth interview to date. Check it out HERE. Cotton Candy Machine - Artist Residency. The good people at Cotton Candy Machine have invited me to be their very first artist in their artist residency program. For the month of Feb I will have my works on display and producing new works throughout the month in store. Be sure to pass through! Thanks to Sean Leonard and Tara McPherson for hooking this up! Last year, Saatchi Magazine came by my London studio to discuss the inspirations behind my work. Check out the vid above. Brooklyn Biennial Submissional Group Show. I will be showcasing 3 pieces in Cotton Candy Machines Brooklyn Biennial Submissional show on December 13th. There is going to be some amazing work on display so I am pumped to be a part of this. Click HERE to check out the blog where you can find out more of what is going to be showcased. I will have 3 pieces on display including this new "?uest" piece. This work is tied into the larger body of work I am producing for my solo show in NYC sometime in 2014. Be sure to check out Cotton Candy Machine. Thanks to Sean Leonard and Tara Mcpherson for getting me involved!